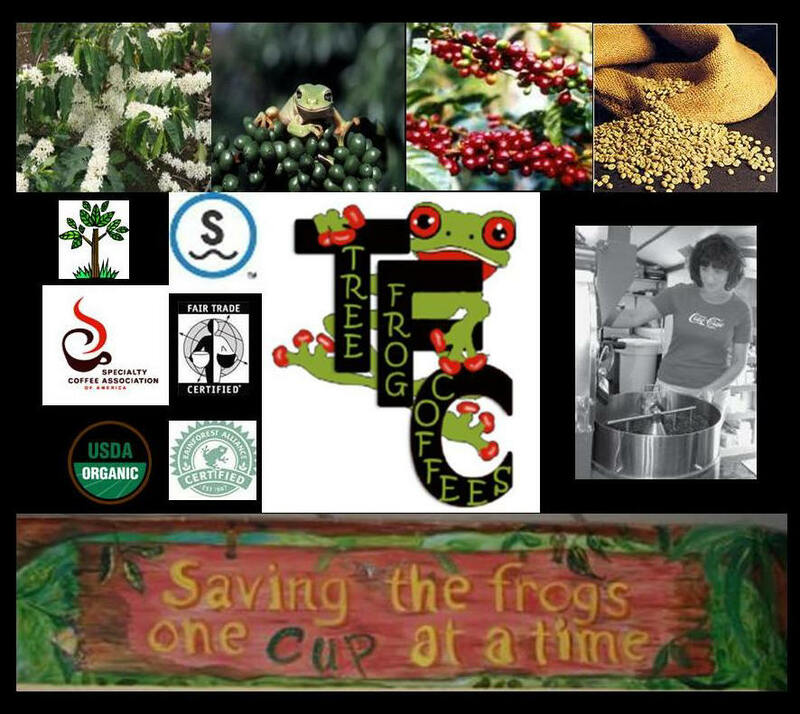 Tree Frog Coffees is a small batch coffee roasting company located in the Rio Grande Valley of south Texas. We are committed to the education and promotion of sustainable coffee farming. or Rainforest Alliance Certified coffees. Please see specific certifications listed with each coffee. Have You Tried Our Coffee Jelly? Our all natural coffee jelly is great on biscuits, toast, bagels, waffles, and as a ham glaze. We especially love it as the jelly with peanut butter sandwiches and on chocolate muffins! It's sweet, it's coffee flavored, it's yummy. Tree Frog Coffees supports the United States Post Office and uses Priority Mail rates. We ship products anywhere in the United States including Hawaii, Alaska, and all APO/FPO addresses. ** To get the best deal on shipping, purchase 3lbs that will fit in the same sized box as 1lb for the same shipping cost, up to 6lbs that will fit into a medium flat rate box, or up to 10lbs that will fit into a large flat rate box . Please read Shipping Info for more specific shipping information. us to get an accurate shipping cost because the shopping cart cannot figure shipping. See our line of organic decaf single origin and decaf blends on the decaf coffee page. For a little more pep in your step, check out the half-caf coffee page. April Coffee Specials-only $12 for a whole POUND! It has a good body, high acidity, excellent aroma, intense flavor. It is a medium roast. SWP Guatemala-This coffee is decaffeinated using the Swiss Water Process for a chemical free product. The decaf Guatemalan is organic and shade grown. It produces a bright, crisp, mouth awakening cup. Bewitching Brandy-A tasty combination of smooth brandy and creme de cacao (non-alcoholic). Chocolate Mint-A rich dark chocolate with a hint of peppermint. All of our regular flavored coffees use organic & shade grown Peruvian beans. For our decaf flavored coffees, we use organic Swiss Water Process decaf Colombian.